I think one of the best parts about traveling is discovering little gems of restaurants all around the world. They don't have to be fancy, Michelin-starred spots either- maybe they're off the beaten path, and even better if they aren't your typical tourist trap! My advice: ask a local! 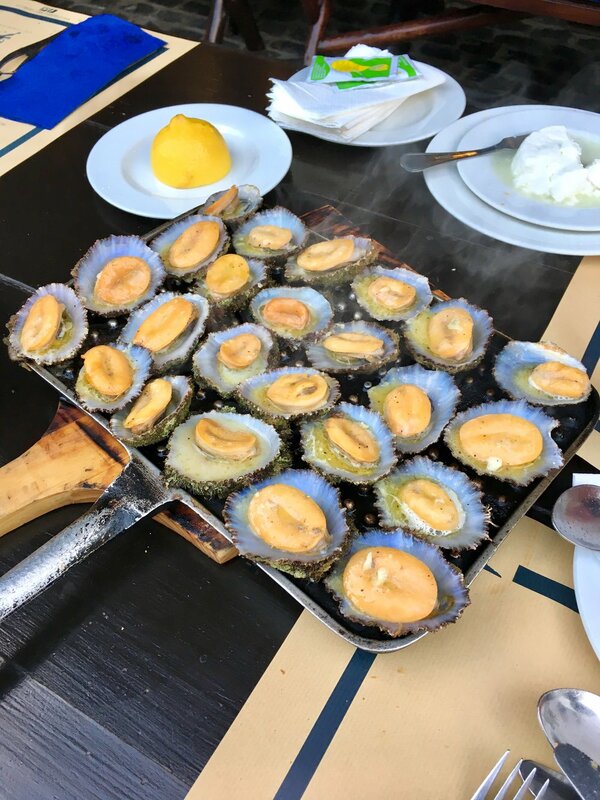 My husband and I visited the Azores (specifically São Miguel Island) off the west coast of Portugal last fall, and after relaxing at the beautiful black sand beach of Ribeira Quente, we were on the hunt for some fresh, local grub. Restaurante Ponta do Garajau came highly recommended to us, but we were warned that we may not be able to get in without a reservation on such short notice. We figured we'd test our luck, and showed up right when they opened, slightly sandy from the beach (and a bit worried we may be underdressed to be honest). Practically all the tables were reserved for reservations, but they were able to squeeze us in at a lovely communal table right in the middle of the outdoor dining space. Ponta do Garajau really fits in perfectly in the cute fisherman's village of Ribeira Quente, filled with rustic decor and an old-fashioned kitchen. 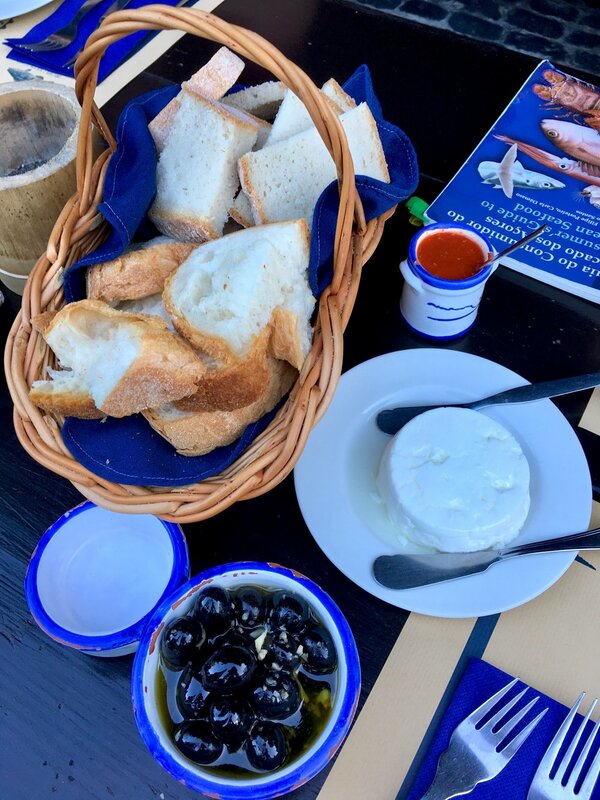 Let's be clear- you come to Ponta do Garajau for the seafood (it's literally just off the beach), and as soon as the food started arriving, we knew we were in the right place. 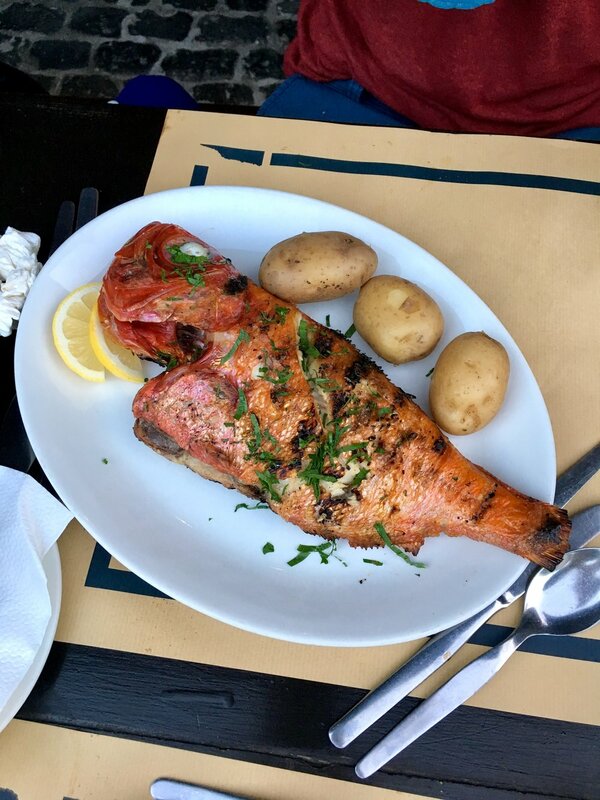 I let my husband choose from the extensive menu (most of which was in Portuguese), and they even give you a "Consumer's Guide to Azorean Seafood" to help you navigate all the different fish available. 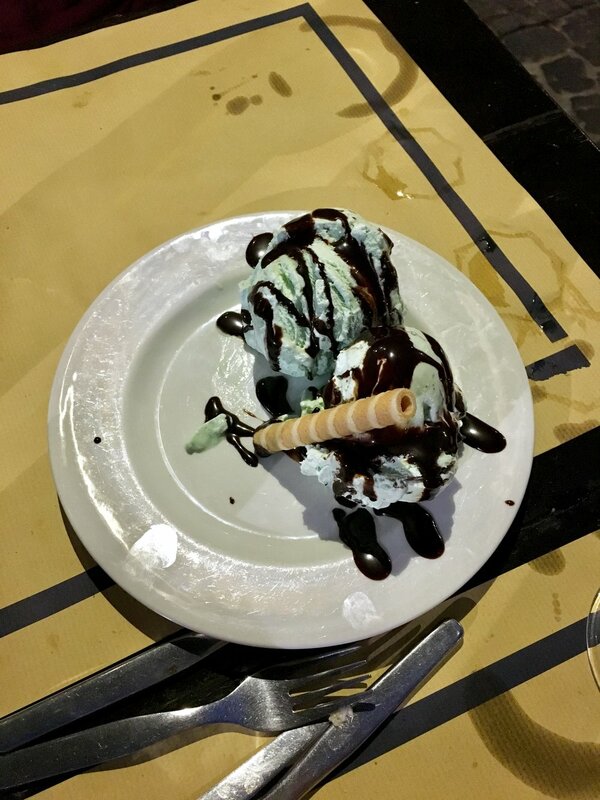 We tried the octopus salad, smooth Azorean Limpet (clam-like sea snails that arrive sizzling in a grand display), Bluemouth Rockfish, and Black Scabbardfish, as well as ice cream for dessert, of course. Along with some homemade bread, cheese, olives, and wine, it was truly a memorable meal! Everything was fresh and delicious, and simply prepared in a way that allowed the seafood to shine. I cannot recommend Ponta do Garajau enough if you ever find yourself in the Azores!